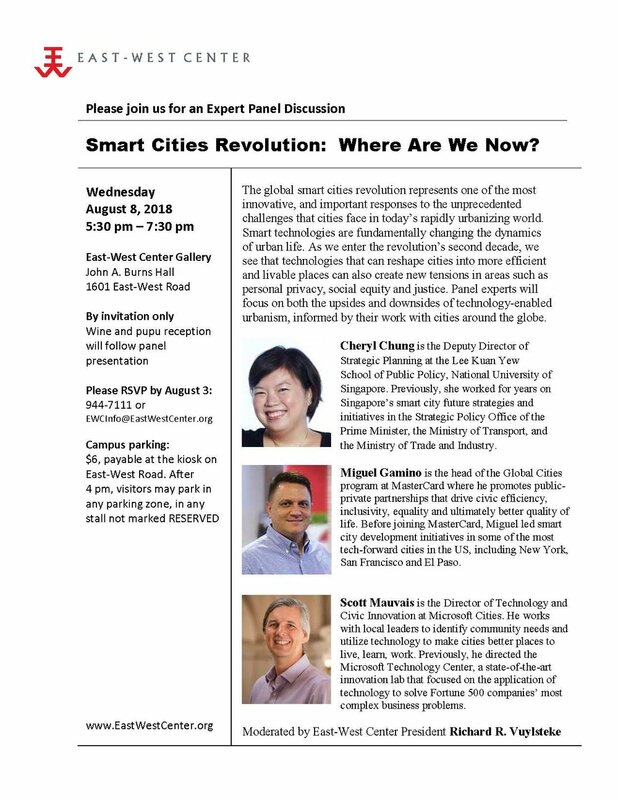 Last night SHADE Institute attended an expert Panel Discussion on Smart Cities at the East-West Center. The global smart cities revolution represents one of the most innovative, and important responses to the unprecedented challenges that cities face in today’s rapidly urbanizing world. Smart technologies are fundamentally changing the dynamics of urban life. As we enter the revolution’s second decade, we see that technologies that can reshape cities into more efficient and livable places can also create new tensions in areas such as personal privacy, social equity and justice. Panel experts will focus on both the upsides and downsides of technology-enabled urbanism, informed by their work with cities around the globe. EWC President Richard Vuylsteke and panel speakers Scott Mauvais, Miguel Gamino and Cheryl Chung. 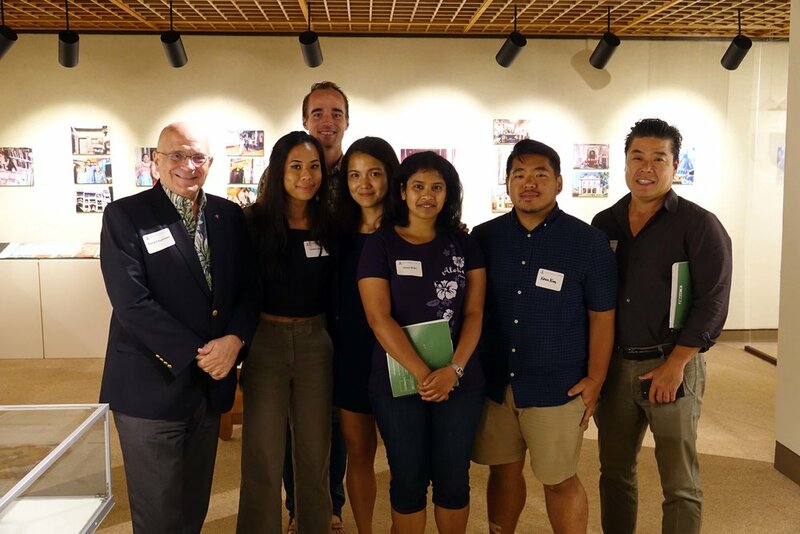 East-West Center President Richard Vuylsteke and SHADE Fellows Connie Kwan, Kyler Carlson, Lee Hao Rong, Onam Bisht, Kevin Kim and Dean Sakamoto.